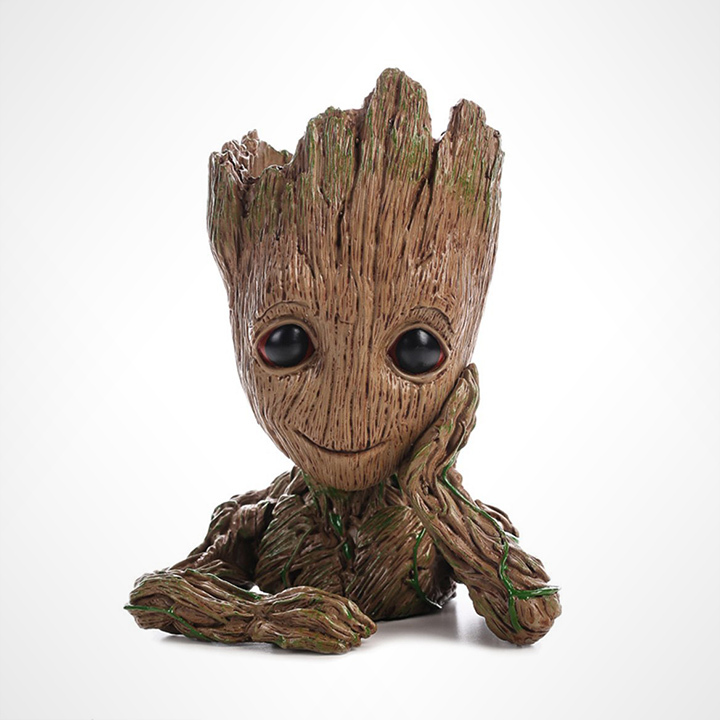 A startup called HEYFAIR is offering the cutest merchandise, hands down! 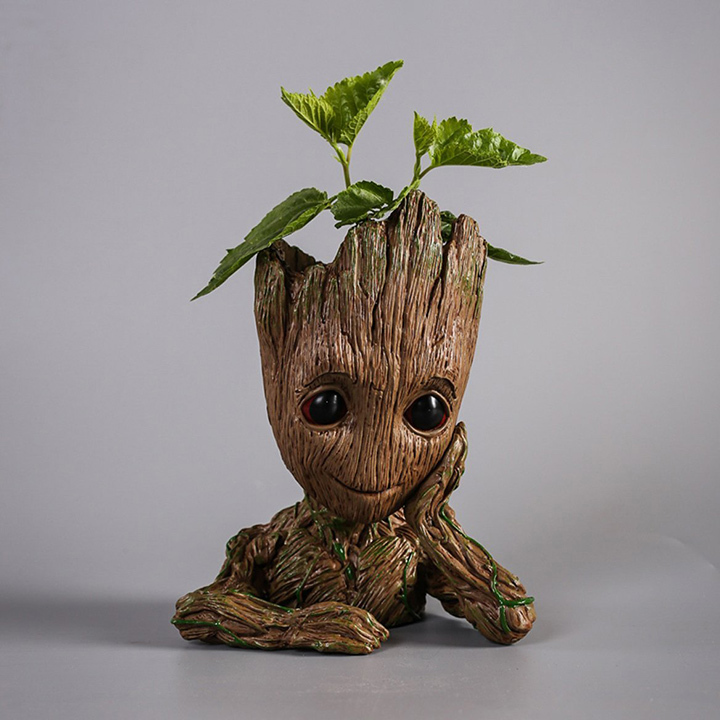 Inspired by the baby Groot from Guardians of the Galaxy movie, its called the HEYFAIR Treeman Baby Groot Star-Lord Pen Cactus Succulent Planter Pot. 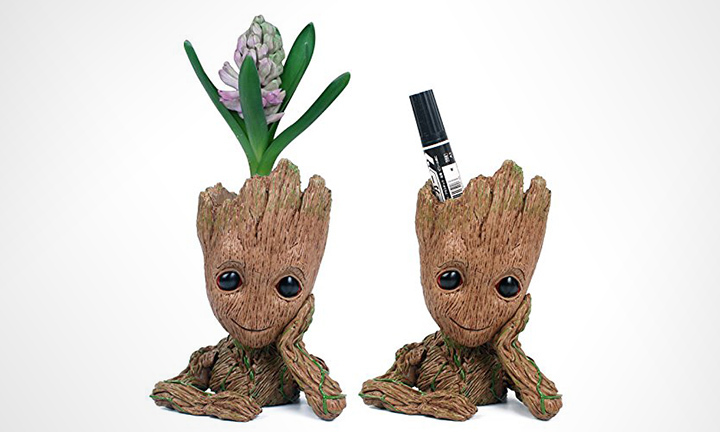 It's not only a planter but also can multi-function as a desk organizer for your accessories as well. These containers standout from others for their uniqueness. The company says the pots are said to be”semi-handmade” from high-quality resin. 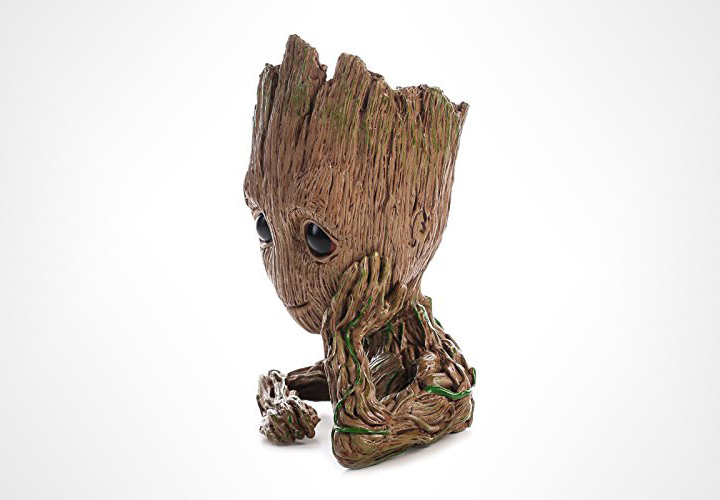 Therefore, it is said that no two Baby Groot pots will be exactly the same.